My 8th mission on the Catalunya Challenge was actually quite relaxing. 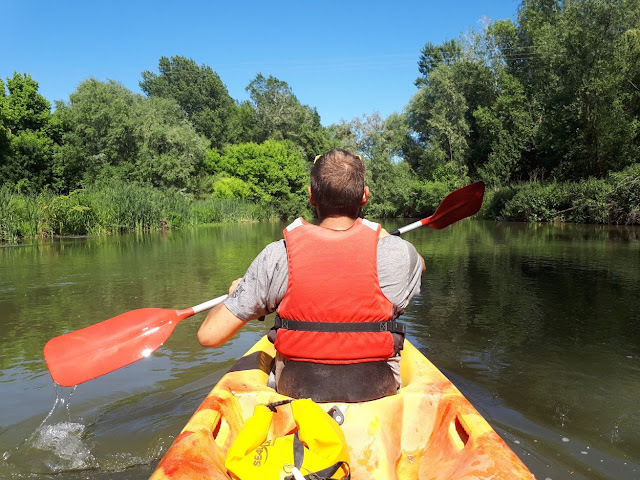 In Colomer, a quiet little town near Girona, I went on a little kayak adventure on the Ter river. Exactly what I needed after days of tackling missions. I plunged myself into nature and enjoyed the sheer beauty and silence around me. The vegetation surprisingly reminded me of my little jungle row boat adventure on Lake Yojoa in Honduras. A perfect way to recharge the batteries. Big thanks to the people of Kayak del Ter for showing me the way.